Get a birds-eye-view of the Smoky Mountains by reserving Gatlinburg Tours. Fly above the rolling mountains as you see the natural beauty of the area come to life as you soar above it. 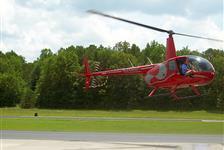 A variety of flights are available, too, so you can choose the sights you’d like to see during your helicopter tour.